In Store: Print or show on smartphone to get a $10 discount when you spend over $65 in Off Broadway Shoe stores.. Use code: 10OFF online. Print out the whole page for an extra 10% discount on your entire in store purchase. Must show a valid military ID. Ten days only, buy one get one 50% off footwear. Valid on all types of shoes in clearance dots. Must print and present the coupon at the time of purchase. Print coupon for $20 off when you spend $100 or more in-store. Today Only! Print coupon or show on mobile device for a 15% discount on any purchase. 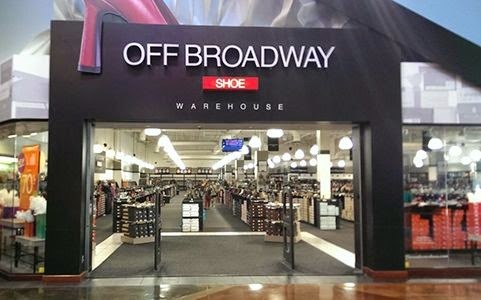 Print coupon and receive $15 off your boot purchase of $39.99 at your local Off Broadway Shoe store. Off Broadway is among the first to bring the concept of designer shoes at warehouse prices. Shop the latest styles and best brands of shoes, boots, sneakers and sandals for men, women, and kids. Buy footwear at wholesale prices plus get extra savings in store and online with our coupons and promotions above.